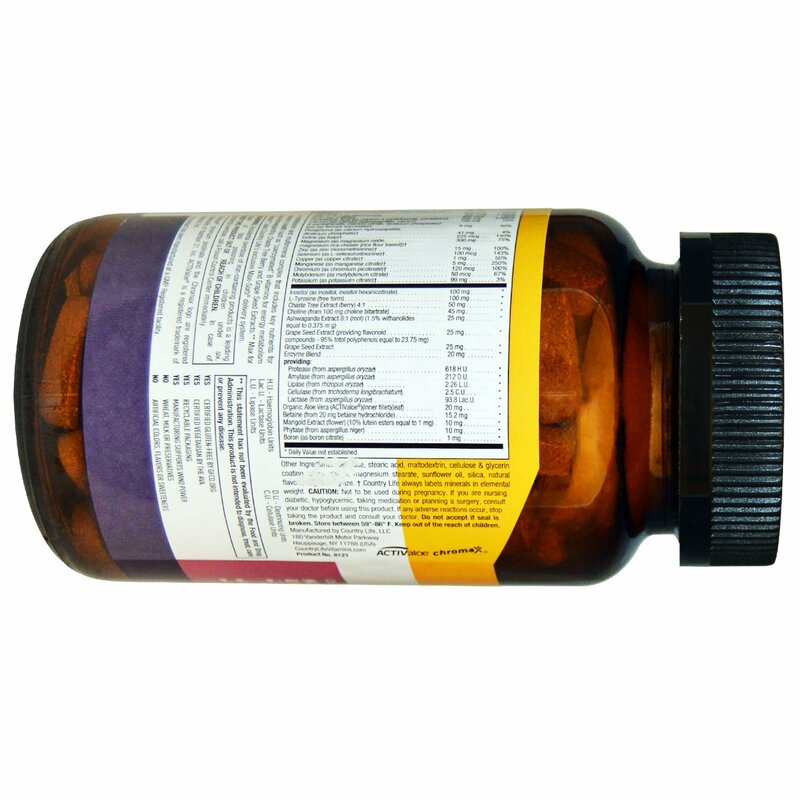 A multivitamin and multimineral complex that includes key nutrients for women's health such as "coenzymated" B Vitamins for energy metabolism plus Ashwagandha. 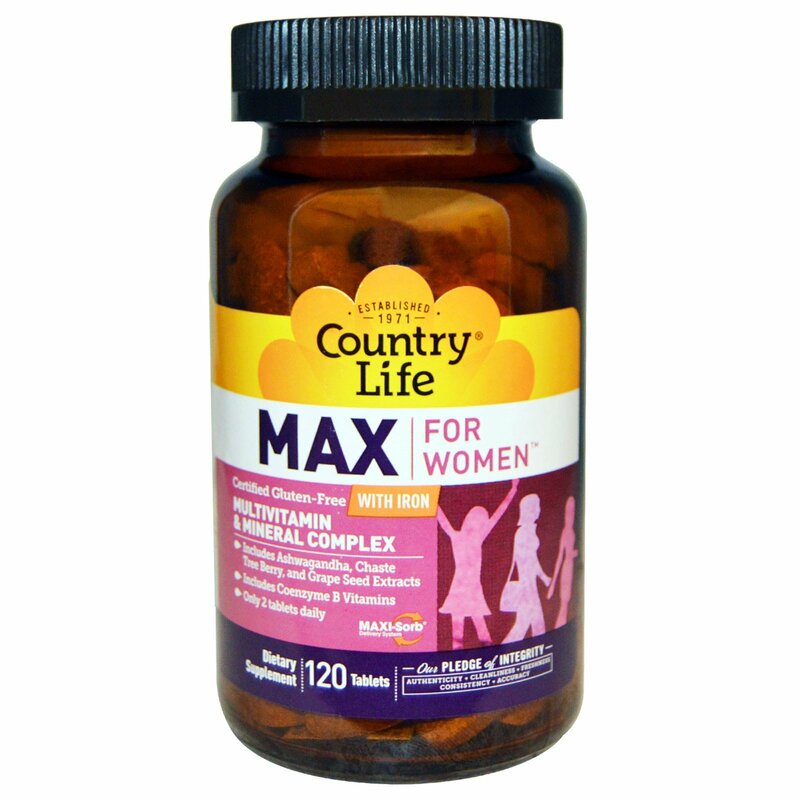 Max for Women uses Country Life's exclusive Maxi-Sorb delivery system. Adult females take two (2) tablets daily with food. Do not exceed recommended dose. As a reminder, discuss the supplements and medications that you take with your health care providers. Cellulose, stearic acid, maltodextrin, organic coating (tapioca maltodextrin, sunflower lecithin, sustainable palm oil, guar gum), magnesium stearate, starch, silica, natural vanilla flavor. 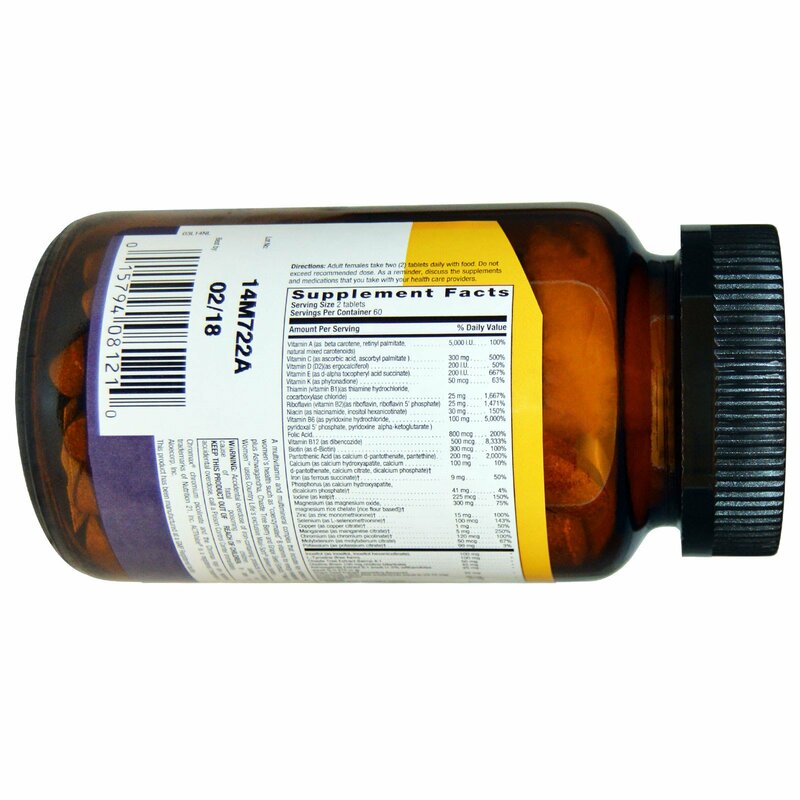 This product is manufactured at a GMP Registered facility. No Wheat, milk or preservatives. Accidental over dose of iron-containing product is a leading cause of fatal poisoning in children under six. Keep this product out of reach of children. In case of accidental overdose, call Poison Control Center Immediately. Caution: Not to be used during pregnancy. May potentiate the effects of barbiturates. If you are nursing, diabetic, hypoglycemic, taking medication or planning a surgery, consult your doctor before using this product. If any adverse reactions occur, stop taking the product and consult your doctor.